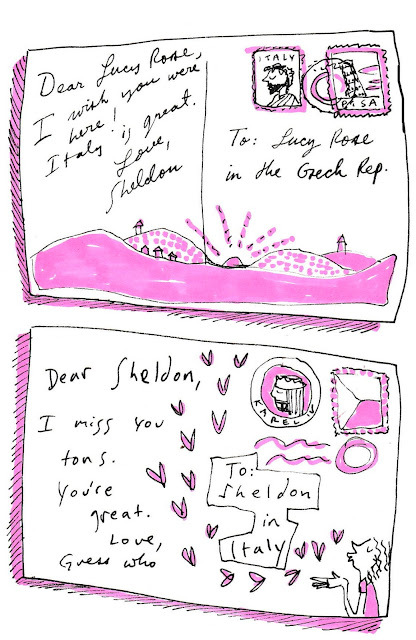 Sheldon and I have dated long-distance for 11 out of the 22 months we have been together. 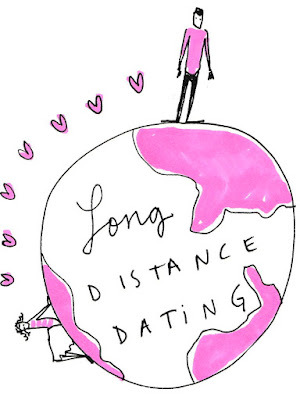 Anyone who has dated long-distance knows how hard it can be. You start to forget what the person looks like. You forget their name. Wait. Just kidding. But you do forget how they sound. You have fears about them meeting cooler, better-looking people on every street corner, etc. We survived long-distance while he studied abroad in Italy and when I went to England and the Czech Republic. While we are not pros, we have discovered some things which helped to ease the pain. I want to talk about our journey of dating long-distance with a three part series. I will share some of the methods which have helped us keep in touch, interview Sheldon about his perspective, and talk about some of the hard parts. 1. 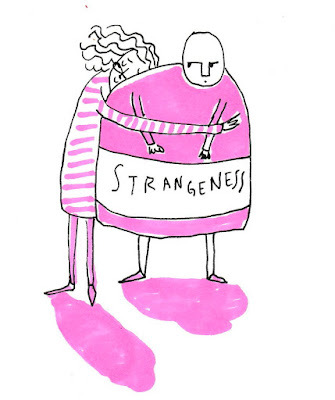 Embrace the Strangeness: This mostly mostly pertains to Skype, but can apply to other forms of communication. It feel bizarre when you haven't seen Lover Boy/Girl for a week and then you turn on Skype and now his face is right there, but the sound is terrible and the image blurry. It can feel awkward. That is OK. Tell them about it. Laugh. Cry. Whatever you need to do. Give yourselves time to adjust. Usually, we find that after the first few minutes we get over it, because we are so excited to talk. We even forget about the poor quality. But sometimes I cannot get over the weirdness of Skype. That is also OK.
2. Be Clear About Expectations: It helps to give one another a clear idea of how much communication you need in order to feel cared for by the other person. That can take while to figure out. Everyone's level is different. 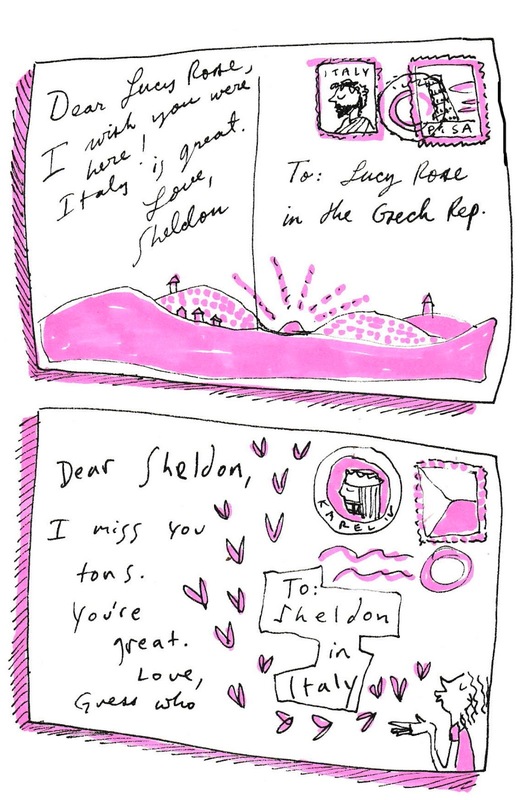 It took us a couple months before I realised that I felt neglected and needed to hear from Sheldon more often. I told him about it and he worked on checking in more frequently. 3. Plan Skype Carefully: At the end of each Skype date Sheldon and I plan the time of our next conversation. Sometimes, our other plans were still forming or we don't know when our travels would next bring us to Internet. But we tried to make an estimate. This helps take away some of the anxiety of being away from each other. It gives the relationship a some of security during a time of uncertainty. Also it was something I could look forward to. 4. Keeping a Notebook: We did this during the half year Sheldon was in Italy. We each kept a journal in which we periodically wrote notes to one another. Half way through we switched notebooks by post. When I had a hankering to talk to him I could whip out the notebook and jot down my thoughts. I felt like I was communicating with Sheldon instantly, even he would read it later. This was useful for random thoughts or doodles rather than pressing info. But I loved it, because we now have two books filled with letters. Thanks for reading, Guys. I know that not all of these are suited to every couple. 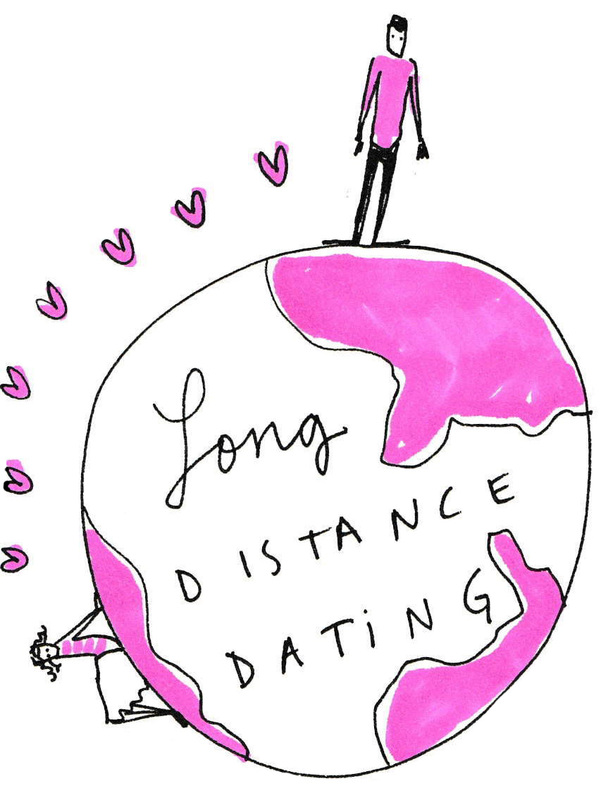 Do you have any good tips for long-distance? Lucy, I just love you. And your blog. This is honest and thoughtfully expressed, with just the right amount of winsome charm. Thanks, Blog Friend! As a fan of your work, I especially cherish your feedback. It helps me keep going! These articles are so cute and helpful. My boyfriend and I have been dating for over three years now, the past three months of which have been long distance - really not enjoying it! 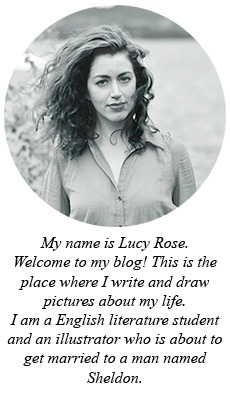 Your blog is gorgeous, and I love your little illustrations. Very witty. Three years is such a long time! I hope you can be together soon.